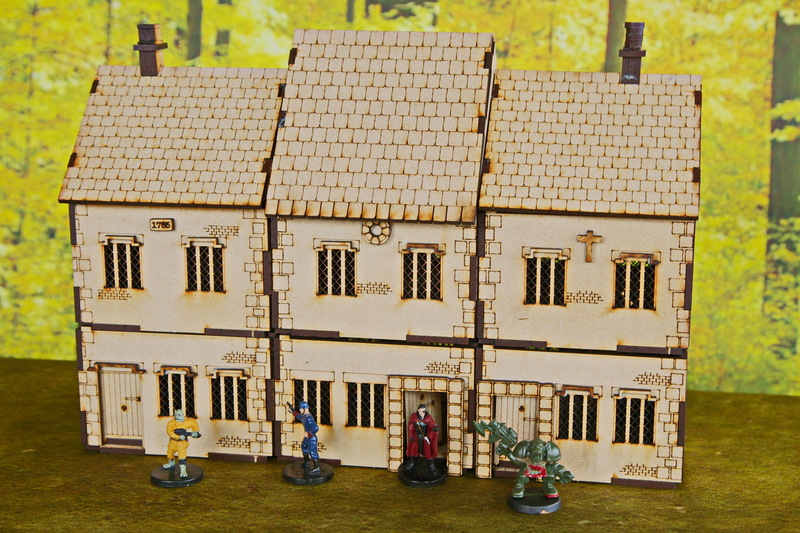 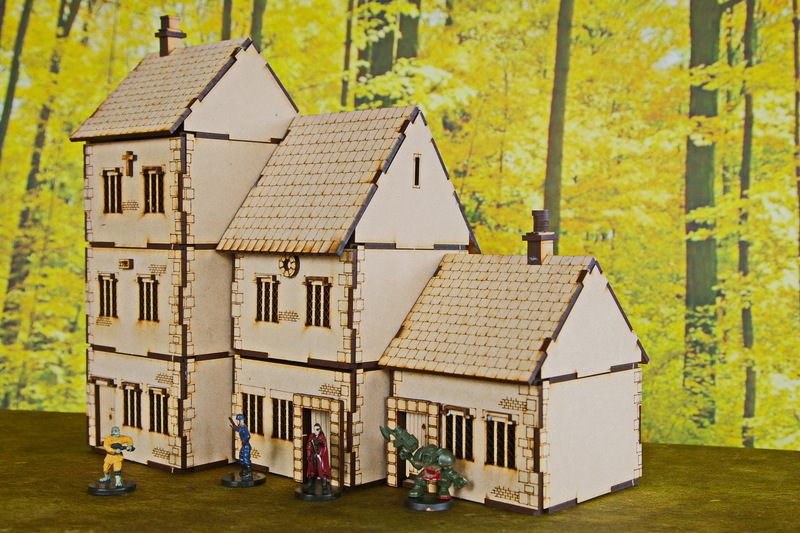 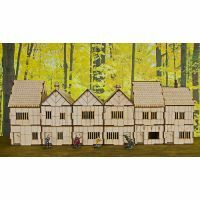 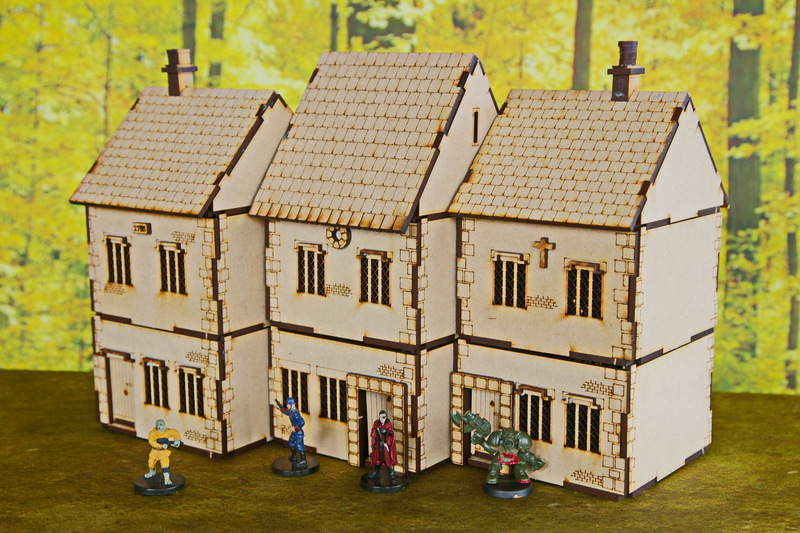 Pack of three 2-Storey buildings. 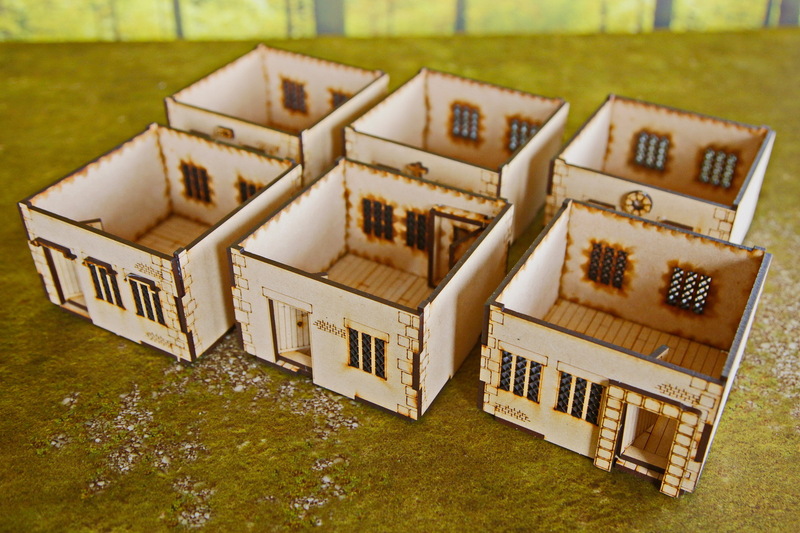 Three Modular building sets of 9 modules mix and match to create the map and terrain you need. 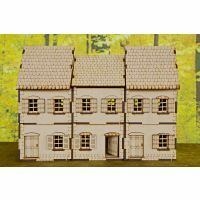 This pack includes 9 modules in all, 3 buildings each with 2 floors and a roof.